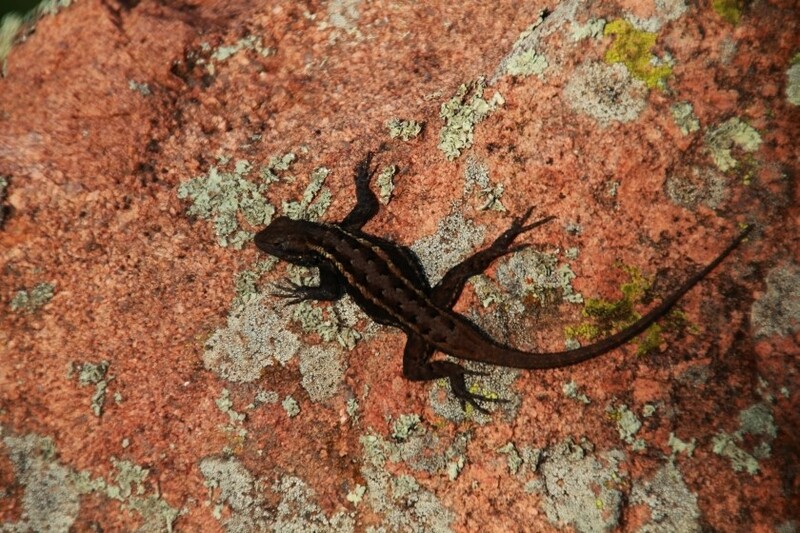 2013-05-05 While hiking near French Lake we saw this eastern fence lizard sunning. He must have thought he was well hidden because he didn't move when we hiked by. Wichita Mountain Wildlife Refuge, Oklahoma.